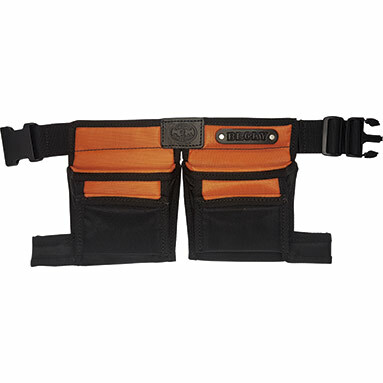 This toy tool belt is adjustable to fit ages 3-9. When you add the toy tool belt to your shopping cart you will be asked what name you would like printing on the belt. Please remember that you can use a maximum of 10 characters.